In spite of the fact that he has not committed a criminal act, Boise resident Skinner Anderson faces three years in prison and a $250,000 fine. 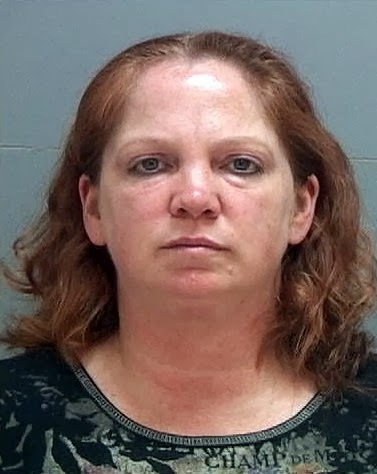 Wendy J. Olson, the Soviet-grade legal functionary who afflicts Idaho as U.S. Attorney, has wrung a guilty plea out of Anderson on a single charge of “misprision of felony” because a home he rented was used for what have been described as illegal poker games. The federal statute under which Anderson was charged is obscure and seldom prosecuted. Private gambling is banned in Idaho by state statutes that are rarely enforced: Since 1975, fewer than 300 people have been arrested or cited in Idaho for gambling. No felony charges were filed following a raid carried out by a federally supervised task force last April. Fourteen people were charged with misdemeanors and issued citations by a state court. Beware the snitch: Federal informant Kings Santy lines up a shot. Anderson’s only role in this affair was to receive rent payments from Kings Santy – the poker and billiards enthusiast who organized the games. Yet the landlord is the only defendant to face the prospect of time in a government cage. Under the relevant provision of the Idaho State Code (18-3802), the worst that could be inflicted on him would be a misdemeanor fine for “knowingly” allowing people to play poker on his property. Commissarina Olson, displaying the dishonesty and depraved ingenuity for which people in her profession have become notorious, contrived a way to charge him with a federal offense that involves guilty knowledge “of the actual commission of a felony cognizable by a court of the United States” – something he obviously didn’t do, because none of the people arrested last April has been charged with a felony. Tellingly, Santy – who, once again, organized the “illegal” poker games -- was not charged with a crime. In fact, he wasn’t even arrested. Any time the police allow the “ringleader” to get off scot free, they are indisputably protecting an informant. 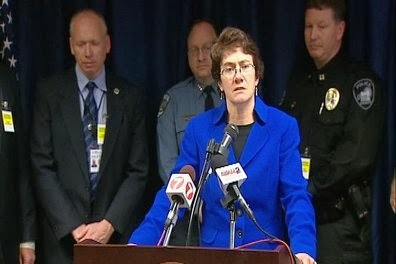 Commissarina Olson, flanked by flunkies. At some point – most likely immediately after he rented the home from Anderson – Santy became an informant. All of the “evidence” collected by Olson regarding Anderson’s supposed offenses is drawn from Santy’s self-serving conversations with FBI Agent Douglas Hart, who supervised the investigation. According to Hart’s probable cause affidavit, “Anderson told Santy that he didn’t care what Santy was doing on his property as long as it didn’t cause Anderson trouble.” Presumably, “trouble” would have resulted – and an eviction most likely would have ensued -- if those games had become a neighborhood nuisance. The raids in April were carried out by the valiant badasses of the Treasure Valley Metro Violent Crimes Task Force, who claimed to be responding to unspecified “complaints” about the poker tournaments. Once again, the only source of those “complaints” would be Santy. The ringleader/informant reportedly told Agent Hart that one of his dealers said a woman whose “husband or boyfriend lost their rent money from a poker game called Anderson to complain,” according to the Idaho Statesman. This hearsay “evidence” offered by an admitted liar (remember, Santy deceived Anderson about his intent in leasing the house) is the only substantive link connecting the landlord to the “illegal” poker games conducted on his property. If Santy had been compelled to testify, he would have been eviscerated on the stand by a reasonably competent attorney. Federal juries tend to be terminally credulous, and Olson – once again, following the protocols of her despicable profession – would most likely have multiplied the charges against Anderson and threatened him with decades in prison as punishment for exercising his right to a trial by jury. As I’ve noted before, federal attorneys prefer extortion to prosecution. “How much does the State weigh?” Stalin once asked a Soviet procurator frustrated by an unusually recalcitrant defendant who refused to sign a confession. As a federal prosecutor in the Soviet mold, Olson is adept at using the weight of the State to break innocent men and women. And in this case, as in so many others, Olson’s objective was to steal Anderson’s property through forfeiture: Before filing criminal charges against the beleaguered businessman, Olson filed a “forfeiture” motion to seize the “gambling house” where Santy had held the poker games. I guess a lightning-bolt SS insignia would be too obvious. Anderson was most likely told by his defense attorney that if he fought the charge the Feds – employing a widely used tactic -- would freeze his financial assets, leaving him destitute and unable to pay his legal expenses. Thus he was left with no choice but to submit to the demands of Olson and her comrades. For his part, Santy remains at large to entrap other potential victims. He has plenty of company in Olson’s feculent stable of informants and provocateurs. Now that a guilty plea has been extracted from Anderson, confiscating his property will be much easier. Olson has been a tireless evangelist on behalf of the gospel of collaborative plunder, and she has built a large and eager congregation among Gem State law enforcement agencies. Forfeiture is a tremendously lucrative racket for Olson’s office, which boasted in an October 28 press release that it has seized $1.7 million in “forfeiture” proceeds, while kicking back $1 million to state and local police agencies “via the equitable sharing program.” Olson’s office reported a total take of $34 million for FY 2013 – an impressive figure, but a dramatic decrease from 2012’s record $84 million haul. This might help explain why Olson’s plunderbund went after Anderson so zealously: Grabbing a $200,000 home would get the new fiscal year off to a good start. On the same day that Anderson was arrested and charged with gambling-related felonies, the state’s largest gambling syndicate began its biggest buy-in to date. The state government of Idaho – which will benefit from the seizure of Anderson’s property – announced its Mega Millions lottery jackpot. Tickets cost a dollar each, and are sold at retail outlets state-wide, thereby directly implicating hundreds of business owners – as well as the entire tax victim population -- in an activity that would be regarded as criminal if conducted privately. Mr. Anderson, who had no direct involvement in a penny-ante poker tournament, may be sent to prison with the connivance of the same state government that -- in addition to the routine crimes of violence and fraud it perpetrates – maintains a multi-billion-dollar gambling operation. To paraphrase the despondent Danish prince: In our prison society, there is nothing either good or bad, unless the state says so. Thus private poker is a "crime," state-licensed lotteries are a civic blessing, and officially sanctioned theft of an innocent man's property is "justice." Members of Utah's most violent gang strike a pose. Utah resident Virginia Ward cried on November 18 as she was sentenced to 90 days in jail – and three years of probation -- for drug trafficking. This meant that she would join the large and ever-growing population of prisoners she helped to create as a former Justice Court Judge. As if in compensation for having to spend Christmas behind bars, Ward was allowed to open several presents early. When she was arrested earlier this year, Ward confronted the possibility of two 15-year prison sentences for her role in a multistate smuggling operation. Before the case went before a judge, the prosecutor had dropped one of the charges in exchange for a guilty plea. Ward, without her official costume. Thus began an unusual auction in which the prosecutor, the parole department, and the trial judge sought to bid down the price their former colleague would pay for breaking laws she had enforced while feeding her own Oxycodone addiction. During the sentencing hearing Ward was informed that the prosecution had reduced its sentencing recommendation to six months. The judge cut that already lenient sentence in half. For its part, the department of probation and parole had recommended against any jail time. The facts described by Reed would suggest that the appropriate sentence would be one of exemplary severity, rather than one of uncommon leniency. What Reed must have meant, given the arrangements made by his office, was that the punishment Ward’s illegal conduct should be mitigated by her position and the faithful service she had rendered on behalf of the prison-industrial complex. As the Salt Lake Tribune observed, other defendants in the courtroom who were not clothed in similar privilege found the spectacle to be less than edifying. “Slap on the wrist,” muttered one in disgust. “I would have gotten the same sentence for a speeding ticket,” added another. Not only was Ward given a relatively trivial punishment (in comparison to what others would receive, in any case), she was also the beneficiary of special arrangements intended to shield her from potential retaliation by others whose freedom she had taken away. When she reported for jail the day before Thanksgiving, Ward was taken to a cell outside of Salt Lake County, in order to avoid other inmates she had imprisoned for indulging in weaknesses similar to her own. Ward says that she became addicted to Oxycodone after obtaining a prescription to deal with a neck injury. The judge was receiving packages containing the prescription drug at a UPS store in Salt Lake City. She was in possession of 338 Oxycodone tablets when DEA agents arrested her in March. She told investigators that she was taking the pills to another person – named either Jose or Josh – in exchange for a small portion of them. She also described trading other controlled substances in exchange for the painkiller. While government has no legitimate authority to regulate what people freely consume, it is also true that abuse of prescription medication is a serious public health concern, particularly in Utah. Given the severity of that problem (which cannot be solved by imprisoning addicts or those who supply their drugs, of course), Ward’s involvement in an interstate smuggling ring would likely have been rewarded with a long stint in federal prison – if she hadn’t been involved in feeding other human beings into the maw of the penal system. 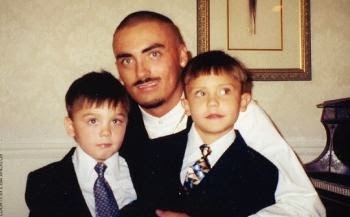 Angelos with two of his three children. While Ward prepared to spend her first Christmas in jail, fellow Utah resident Weldon Angelos is about to spend his ninth Christmas in federal prison. Assuming that the father of three children survives prison, his freedom will not be restored until 2059, when he will be 78 years old. The supposed crime for which Weldon will spend nearly his entire life in a cage was selling about 24 ounces of marijuana to a police informant. In 2002, Angelos, a successful musician and record producer, was lured into selling small amounts of marijuana to a childhood friend name Ronnie Lazalde, who was involved in a local gang called Varrio Loco Town. Lazalde was facing serious narcotics and firearms charges, and in an effort to obtain a "downward departure" on his prospective prison sentence he agreed to act as an informant. At the time, Angelos's criminal record contained a single conviction as a juvenile for possession of a handgun. He admits that he was involved in small-time marijuana dealing at the time Lazalde approached him. In three separate transactions observed by officers with Salt Lake City’s Metro Gang Unit, Angelos sold eight ounces of pot to Lazalde. Eager to validate his claim that his erstwhile friend was a major drug dealer -- and therefore a bigger prize to police -- Lazalde continually demanded that Angelos sell him cocaine and firearms. That prompted Angelos to cut off any further contact with the informant after the third deal. In July of that year, Angelos was arrested and cited for carrying a small pistol in an ankle holder. When Lazalde learned of that arrest, he contacted his handler, Detective Jason Mazuran (who is now a SWAT commander in Salt Lake City). Displaying the insouciant disregard for truth that typifies his professional, Mazuran retro-fitted that detail into previous reports of the drug deals: Now Angelos was accused of carrying a firearm in connection with drug trafficking. Federal prosecutor Robert Lund, who seems to be the type of person whose character could profit from an encounter with the Iron Sheik, offered Angelos a deal: Fifteen years in federal prison in exchange for a guilty plea to one three counts of drug dealing and one firearms-related offense under section 924[c] of the federal criminal code. Not surprisingly, Angelos declined that offer. Unfortunately, Angelos had been a member of the productive sector, rather than a functionary of the criminal “justice” system, so he couldn’t expect the kind of leniency that had been extended to Ward. Federal prosecutors prefer to obtain convictions through extortion, rather than a trial. Lund obtained a superseding indictment charging Angelos with five 924[c] offenses that would carrying a minimum mandatory sentence of 105 years in prison. 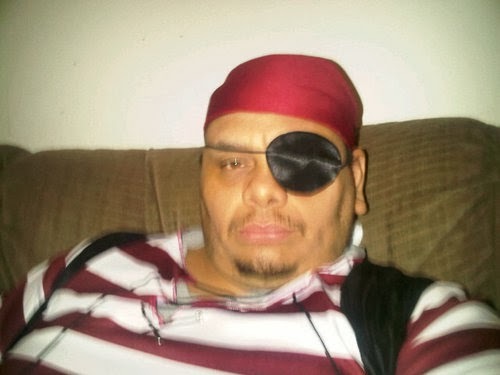 Snitch: Ronnie Lazalde, seen here dressed up for Halloween. None of the police observing the controlled marijuana buys reported seeing a gun. Lazalde made no mention of seeing a gun during his original debriefing. 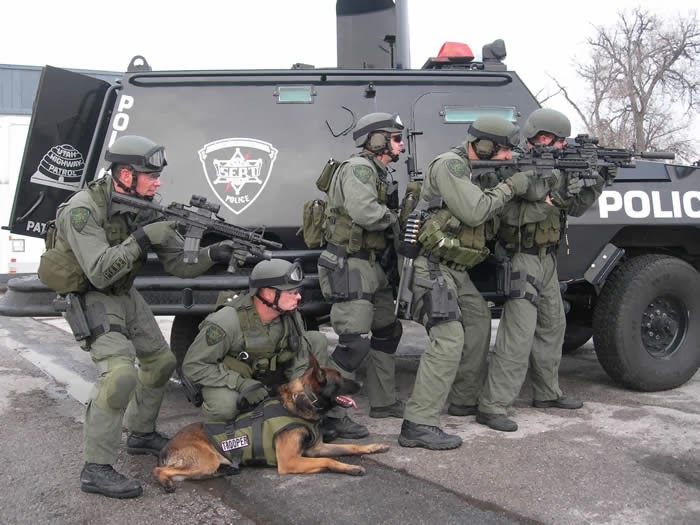 No video, audio, or photographic evidence of a gun was ever produced by the police. All of the original police reports of the transactions are barren of any mention of a firearm. However, by the time the case went to trial in late 2004, the testimony offered by the officers and their informant had been revised to meet the needs of the prosecution. As is generally the case in federal trials, the jury delivered a conviction. A prison term of any length as punishment for a voluntary transaction involving a benign substance is neither just nor rational. The only legitimate crime committed in those transactions was the fraudulent behavior of the police informant, who spent a few years in prison and is now free. "I was able to turn my life around and that's all I can tell you about my past life that is over," Lazalde told Pro Libertate. After if he had thought of interceding on behalf of the childhood friend he had helped put into prison for life, Lazalde replied: "That is not my decision. Years ago Weldon was given the chance to help himself and he chose not to." I pointed out that the "helpful" deal extended to Angelos was to choose between 15 years in prison or a life sentence. "What was the deal you were offered?" I asked Lazalde. "Like I told you, my past is my past," the informant insisted, suggesting that any further questions should be directed at Lund. The barbarous and sadistic sentence imposed on Angelos has drawn international attention and prompted a petition drive seeking presidential clemency. Pot enthusiast-turned-drug warrior Barack Obama, who is as parsimonious with pardons as he is profligate with plundered money, has been inhospitable to such pleas. Robert Lund, who should be shunned as a sociopath, continues to defend the sentence. Prelude to a life of crime: Future mass-murderer and friends. “Weldon Angelos was a member of a really violent street gang,” sniffed Lund when asked if the life sentence was disproportionate. Assuming this is true, Angelos was never charged with any of those offenses (and while Angelos grew up surrounded by VLT members, he insists that he never joined the gang). Furthermore, in order to imprison Angelos – a first-time defendant who was charged with non-violent offenses -- Lund recruited an informant who was an active member of that gang and had an extensive criminal history. Weldon Angelos is serving what will most likely be a life sentence because of the impudence he displayed by defending himself against the charges. Virginia Ward, who sent insignificant drug offenders to jail while acting as part of a major narcotics syndicate, will be free next year and most likely will find subsidized employment preaching about the evils of drug use and the virtues of prohibition. In Iceland, police are mourning the unprecedented shooting death of a suspect. In the United States, police are scandalized by the unfamiliar spectacle of an officer using non-lethal means to subdue and arrest an emotionally unstable man who appeared to be armed. Icelandic police are stunned and grieving because officers took a human life. Some American cops are alarmed by the “recklessness” displayed by an officer who spared the life of a Mundane. The fatal police shooting of a 59-year-old Icelandic man on December 2 was the first to take place in that country since it achieved independence in 1944. Iceland is not inhospitable to privately owner firearms: it is ranked 15th in the world in terms of per-capita gun ownership. Its police typically don’t carry weapons – and its population, which is blessed to live in a country where violent crime is all but non-existent, quite sensibly prefers this arrangement. 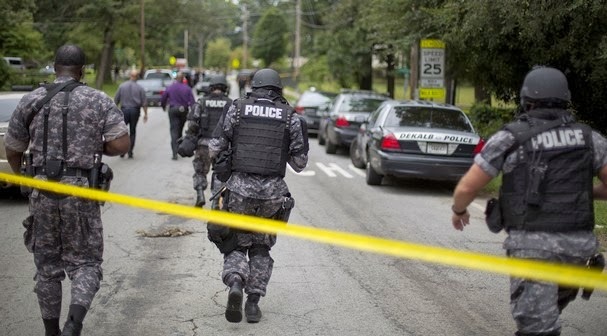 Following an “officer-involved shooting” in the United States, the department will place the shooter on paid vacation and erect an information barricade to prevent public disclosure of critical facts. It will also quietly leak whatever damaging information about the victim it can find in order to reinforce the presumption that any use of lethal force by police is justified. The shooter, who is clothed in “qualified immunity,” will be given a generous interval to confer with police union attorneys in order to devise a suitable story before speaking with investigators. In some cities – Dallas, for example – a cop who fatally shoots a citizen won’t have to worry about being questioned until three days after the incident, and he can use that time to review video records of the event. 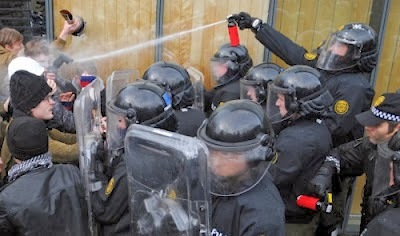 Yes, they do that there, too: Riot police in Iceland. Owing to their lack of prior experience with officer-involved shootings, police in Iceland (who are certainly capable of brutal behavior on occasion) are ignorant of this ritual. Rather than execrating the dead man and extolling the valor of the officers who shot him, the police treated the incident as a tragedy. Police chief Haraldur Johannessen told reporters that he and his department “regret this incident and would like to extend [our] condolences to the family of the man.” Some of the officers involved in the shooting have sought grief counseling to deal with the burden of taking an irreplaceable human life. Icelandic police saw nothing heroic about the shooting, even in circumstances in which they considered that action to be justified and necessary. American police, by way of contrast, are taught that risking their lives in order to avoid killing a Mundane is stupidly irresponsible, rather than heroic. Charles Remsberg, a columnist for PoliceOne.com news who focuses on the all-important issue of “officer safety,” has described a recent incident in what he describes as “a Western city of roughly 50,000 population” in which a training officer and a recent recruit confronted a suicidal man during a domestic disturbance. When the man approached the officers carrying a shotgun and a handgun, they took up defensive positions behind the doors of their car and ordered him to stop. After he came within a few feet of the car, the training officer doused him with pepper spray and took him into custody without additional injury. Many of this officer’s comrades on the police force were impressed with this genuinely heroic act, and urged that he be nominated for a medal of valor. The police chief moved quickly to contain this outbreak of decency. 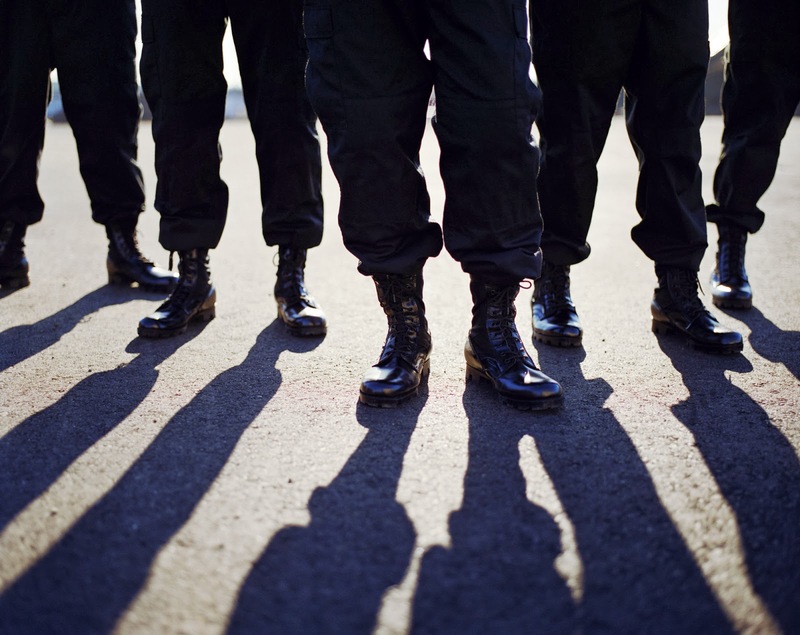 "No Hesitation" training targets for police. This is why the chief was upset over what he described as the “`appalling’ amount of support” among his subordinates for the officer who had neglected an opportunity to kill somebody. In order to neutralize the subversive influence of a cop who acted like a peace officer, the chief intended to impose exemplary administrative punishment – until his disciplinary proposal was vetoed by the city’s public safety director. In order to avoid similar scandals in the future, the chief suggests that greater care must be taken to destroy any residual inhibitions on the part of police. To “educate” the public, he continues, “We have to be willing to critique non-shootings as well as shootings.” From that perspective, restraint on the part of police is a danger to public safety – not that we have much cause for concern on that account. This is a country where police are trained to overcome their reluctance to shoot pregnant women, small children, and the elderly, and where cops who gun down children carrying toy guns needn’t concern themselves about criminal charges or administrative punishment. This is a society in which an unarmed man who causes a public disturbance can be charged with assault because the police who arrested him panicked and shot several innocent bystanders. 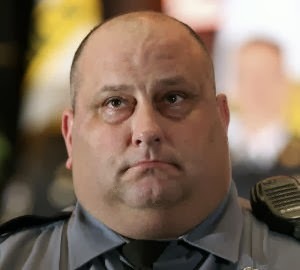 The standard of “valor” to which American police officers aspire is embodied by Henrico County Police Officer Brian Anderson, upon whom was conferred the Silver Valor Award for shooting an unarmed man holding a cellphone. 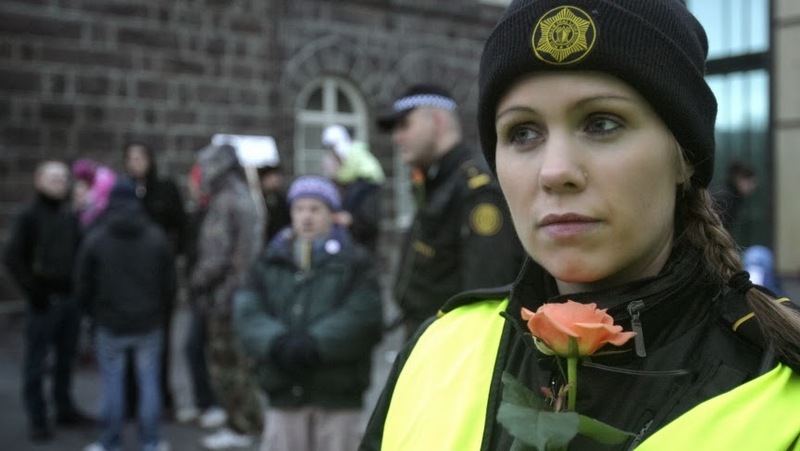 Police in Iceland are still somewhat burdened with civilized scruples, which is why their conduct would be incomprehensible to those who belong to America’s exalted fraternity of state-consecrated violence. During the past week, I've been occupied with two very time-intensive projects. The first of which is an in-depth investigative project that may eventually result in a book. The other is ... a book, which will be available very soon. No Quarter is a compilation of essays and investigative pieces written over the past decade, most of which were not published here. Please watch this space, and my Facebook page, for further details. Thank you!